What Are The Reason For Short-Selling Bitcoin? As the cryptocurrency markets continue developing, new opportunities have come about. In this article, we will discuss how to short bitcoin and what it involves. In 2018, an increase in regulations along with a slowdown in association to cryptocurrency trading, in general, caused BTC (bitcoin) to lose 20% of its value. While this sell-off proved catastrophic for a few of the traders, for others this fall presented the opportunities to short-sell BTC. Bitcoin shorting involves selling a cryptocurrency with the hopes that it decreases in its value for the buyer to purchase the currency back at lower prices. The traders are then able to make a profit from the differences in the current market prices. Short-selling takes on the usual mantra of “buy low and sell high&rdquo, and turns things upside down. Even though you will still be buying low followed by selling high, it involves that the trader will sell an asset 1st and then repurchases the asset later. Before you decide short-sell bitcoin, you first need to know what motivations you have for doing this. Many of the traders who short bitcoin usually have a view that is bearish about the expected future of these markets. This often comes about due to skepticism about bitcoins popularity and that it just another fad that won’t last for very long. If you believe in this viewpoint, then it becomes vital that you stay abreast with changes that occur in this industry. This has to do with optimism that continues to increase associated with future uses linked to cryptocurrencies along with their technology blockchain. There are still many people that are shorting bitcoin that still have faith in its potential over the long-term. For people that still believe in the potential that bitcoin has to offer, their reasons linked to short-selling bitcoin would involve hedging a more prolonged exposure. For example, if you currently own bitcoin, yet you have a feeling that it will fall over the short-term, you may decide that you would like to decrease your risks in the way of short-selling your bitcoin. In this way, if and when the markets do fall, you can recoup a percentage of the loss from your initial investment and make gains in association to your overall short position. When it comes to short-selling any asset, gaining an understanding of the markets along with trading strategy knowledge becomes very important. Because the cryptocurrency markets are still regarded as somewhat immature, it might be exhilarating, yet at this stage, it is still incredibly unpredictable. This is the reason why it is essential that traders are taking enough time and research to gain a better understanding of BTC and what it is all about. Bitcoin was first created in the year 2009, by a pseudonymous Satoshi Nakamoto. It is described as a digital currency that is cryptographically secured which does not have any central authority. This is why it has become such a popular method for payments. As a decentralized currency, it is also free from many factors associated with interest rates and central banks which have an impact on the fiat currencies. It is essential to understand that there are still many factors which can move bitcoin prices. Some of these include public perception, bitcoin supply, how to integrate it into daily life, along with the increasing regulations linked to exchanges. Today, there are several methods you can use when you want to short bitcoin. Here we will show you 2 of the more popular methods when it comes to shorting bitcoin through derivative products or a broker. A few of the bitcoin exchanges offer their own short-selling facilities, yet this involves first borrowing the asset from a third-party or broker, and then you would sell it on the market. In the situation where the price did fall on the market, you would be offered with an opportunity to repurchase these BTC at the lower rate, return the bitcoin to the original owner and then make a profit from the price difference. For example, if the bitcoin price was currently trading at $4,000 per BTC, and you have a feeling that the markets are about to decline. So you decide to borrow a single bitcoin from a broker, and you then sell the BTC on the markets. A few days later, the markets fall to $3250, and you can repurchase the BTC at this price. You are now able to pay the broker back what you owe them and make a profit from this price difference. In this example, you would make $750, excluding charges from your brokerage. If on the other hand the markets increased, you would still need to purchase the BTC back in order to return the currency to the third party or broker that you originally borrowed from. So If for example, the markets had increased to $4,750, you would be forced to buy the BTC at the latest market price, which would mean you would be $750 out of pocket. One of the major drawbacks about this shorting bitcoin method is the fact that to begin with it is close to impossible even to find a broker or third-party that would also lend you BTC. In addition, even if you do find someone or a willing party, they might recall their bitcoin when they feel like it, meaning you would then need to accept what the current price is on the market. The apparent drawback of the traditional short-selling method has brought about an interest that continues to grow in the derivative products which are one of the alternative techniques when it comes to short-selling bitcoin. The derivatives are explained as the financial instruments which take their prices from an underlying market, which in this case would be bitcoin. When it comes to derivatives, it does away with having to borrow BTC from a broker or third-party, as it only involves that you speculate the future direction of a market. The derivatives that are the most popular at the moment include CFDs and spread betting. This involves an agreement to make an exchange in the price difference of a BTC from when its position opens to when it closes. This means you will open the position in order to sell a BTC when you believe it will decline in its price. This method allows for a way to place your bet on a direction that you believe the market for bitcoin is headed. When you open a bet position (short-spread), your loss or your profit will be dependent on the declining price of the bitcoin, which would give you a similar outcome to the traditional short-selling positions. The CFDs and spread bets are both leveraged. This means that you are only required to invest a small initial deposit, which is called the “margin” to obtain full market-exposure. Even though short-selling on the margin might increase your profits when the markets do fall, it could also expose you to magnified losses, when the market has moved against you. Here is an example: If you choose to open your position to short-sell bitcoin through a CFD. Using the previous example, the bitcoin was at this stage trading at $4,000, and you may choose to open the position in order to sell a single bitcoin. Because the CFDs are regarded as leveraged products, you would only be required to put a percentage down of the overall value to open the position. If for example, the rate of the provider is 50%, you would be required to put down $2,000. If the market does fall as you had hoped, you would then close the position in the way of purchasing one bitcoin at the latest price of $3250. To calculate the profit, it just means taking the difference from the opening and the closing price. In this example, it would once again be $4000-$3250 which would leave you with $750. It is important to know that any profits in your CFD trades will be calculated in the way of using the full-value for the position and not only your deposit. In the case that market happens to rise instead, up to a price of $4750, you would once again need to purchase the BTC back at its current market price, meaning you would incur a loss of $750 on your CFD trade. Today there are many other types of fo derivative products which are now a popular method to use for shorting bitcoin, which includes future options and contracts. 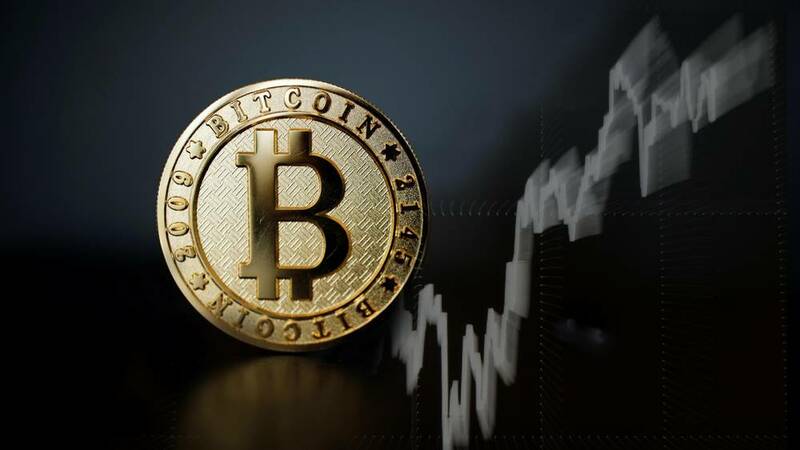 An increase in the popularity associated with short-selling has placed an even more significant downward pressure over the bitcoin price, as an increase of people has started getting involved in the short-selling frenzy. It is imperative that you know that there are risks involved when it comes to short-selling. The most significant risk when you start shorting markets is that the downsides are unlimited. When you purchase BTC, the loss will be capped at an amount which you bought the bitcoin for. When you decide to sell the BTC, there are no limits when it comes to how far the market can start to move against you, which also translates into an increase in a loss that you may incur. This is the reason why it becomes essential that you learn about managing your risks before you begin trading. If you decide to use the derivative products, it is advisable to attach a stop that is guaranteed to the bitcoin position which will then protect you trades should the market start moving against you. There are also many factors involved which may cause the cryptocurrency price to change dramatically and quickly. Even though it is this type of volatility that attracts so many traders to these bitcoin markets, it can also result in a reason for concern when they have not implemented the right methodology when it comes to managing risks. As soon as you have decided on how you will protect yourself, you are ready to start with your 1st short-selling position. It is critical that you monitor anything which may cause the bitcoin price to move suddenly or erratically. It is possible to track the changes that occur in the BTC markets when you use IGs trade and new’s ideas. This will give you access for free to handy expert information and analysis. Shorting is a practice that consists of borrowing BTC to sell it on the market, followed by repurchasing the currency at lower prices. Traders conduct this practice with the hope that they can make a profit from the price differences. Traders typically short bitcoin when it comes to hedging or speculative purposes. There are several methods for shorting bitcoin. The current methods include using a derivative product such as spread bets and CFDs or selling through a broker. Short-selling is associated with risks, and this is why it is essential to develop a strategy for risk management. As soon as you have started with your 1st short-selling position, you need to know about any changes that occur on the BTC market in the way of using analysis and following news trends.